A Feeling of the Times Books and records evoke strong reactions in people and can — even years down the road — create a real feeling of the times, of certain places and of friendships. The gift of those memories matter most to commentator Laura Lorson. NPR commentators write about giving and getting books and music for the holidays. All my life, my favorite gifts have been books or records. Okay, there was that one year when I thought I would surely perish if I didn't get an Inchworm, which was a sort of cross between a hobbyhorse and a pogo stick that looked like a big length of pleated green PVC pipe with a seat and wheels. You bounced on it and it would make the whole getup move forward about a sixteenth of an inch. There was also the Infamous BabyAlive Fiasco of 1975. In the main, however, I have never been happier than when I've just unwrapped a book, or a record chosen with kindness and thought. I also like picking out just the right record or book for someone else. I remember the year that I saved up, a quarter at a time, to buy my mother John Denver's Greatest Hits, which went over very well indeed, despite the fact that the record store clerk snickered at me during checkout. So every year, along about this time, I start making lists and notes and asking circumspect questions of my friends and relatives who need gifts. "Hi, Antonia…how's it going? How's your new book coming along? Are you going to the lecture tomorrow night? 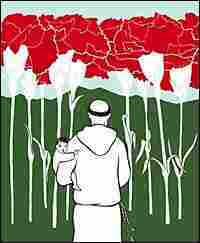 I don't suppose you have any strong feelings one way or the other about William Blake?" Anyway, books and records evoke strong reactions in people and can -- even years down the road -- create a real feeling of the times. I know that every time I look at the copy of Charles Wright's Negative Blue, given to me by my dear friend Tom a couple of years ago, or see my copy of Rush's album 2112 (received from my high-school boyfriend in 1984), I get this surge of memory and feeling that is really more of a gift than the item itself was in the first place. To my mind, this is really the whole point of the gift exchange: giving someone a memory, the gift of knowing that there is someone in the world who wishes you well and happiness. The Histories by Herodotus. Sounds esoteric and off-the-wall and maybe a bit elitist, but I recently went on a trip with very limited packing space and this was the one book I could wedge into my backpack. It kept me riveted and oddly amused for a whole week. 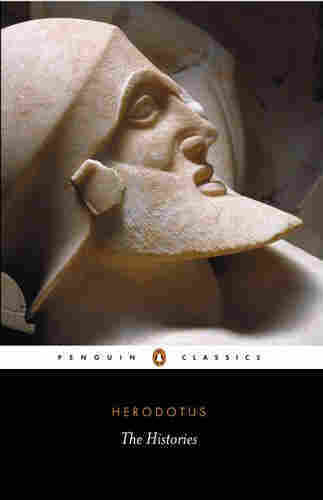 Herodotus describes the wars fought by the Greeks against the Persians with great good humor and compassion. It's almost like reading a gossip column. Give it a try -- you'll be shocked at how laugh-out-loud funny it is in places. The Short History of Byzantium by John Julius Norwich. I didn't read this when it came out, because it's a history of the Byzantine Empire, for crying out loud. But, much like the Herodotus, it's a history told with great good humor by a wonderful writer. Viscount Norwich's style makes this seem less like a history lesson and more like a really good cocktail party conversation. The People of Paper by Salvador Plascencia. My favorite book of the year. It's really quite extraordinary. It's told in a very unusual, sort of tripartite way -- the three strands of the narrative are positioned on the page together. It's initially a bit off-putting, but the skill of this writer lies in drawing you into his world, which is very much in the vein of magical realism. Reading this book is a lot like reading Umberto Eco, in that the complex story comes together a bit like a puzzle. Also, the physical look of the book itself is very striking: It has no dust jacket, and the binding is printed with vivid color and an interesting illustration. A wonderful book, that feels good to hold in the hand. McSweeney's Quarterly Concern. This journal contains some of the most innovative fiction (and non-fiction) I've seen in years. I have yet to be disappointed in an issue. McSweeney's Quarterly has featured writing from the best new writers in the country, along with some old favorites, like Lemony Snicket and Michael Chabon. Giving this subscription to someone is like giving a year of wonder. Cook's Illustrated. I got a subscription to this monthly magazine last year from my sister, and I like to tease her that what she really gave me was 10 extra pounds. I read it cover-to-cover every month, try at least half the recipes, and have yet to eat the result without thinking "this IS the best (fill-in-the-blank) I have ever had." What sets Cook's apart is the good-natured advice that the recipes contain. It's not about cuisine snobbery -- it's about helping people enjoy the art of making, and eating, food. With regard to music I might be giving, four immediately spring to mind. One of my favorite pop albums of the year is by a band called The Rosebuds. Birds Make Good Neighbors straddles that fine line between pop and rock, with catchy melodies and lyrics that seem to sing themselves. It's the kind of music that would make me listen to rock-and-roll radio more if the commercial stations played it. The overall reaction I have gotten from people about this record is that it's -- frankly, really sweet. This is not meant as any kind of insult. It's available on Goodnight Records. I am also very partial to a series of records called Doctor Who at the BBC Radiophonic Workshop. This was a real leap of faith on my part. I had thought it might be either funny for a few minutes or completely unlistenable, but it turns out it's really good. If you remember the old Doctor Who television show, it will bring back great memories for you. If you don't, you'd probably think it was some really interesting electronic band. Either way, I like this a lot. Clarence White's 33 Acoustic Guitar Instrumentals (Rural Rhythm, 1993) was another record I picked up this year that was a complete shot in the dark. I had never heard of him, but soon found out he's an amazing acoustic guitarist. These recordings were made for Roger McGuinn of the Byrds, who was apparently Clarence's friend. The whole story of his career is fascinating, and helpfully detailed on the liner notes. Interesting story aside, this is extraordinary guitar work. If you are a fan of Leo Kottke or John Fahey or other acoustic guitar players, this is going to be right up your alley. Finally, my absolute favorite album of the year -- and I will point out that I have heard hundreds, maybe a thousand this year since my husband owns an independent record shop -- is by a man named Danny Pound. He was the "front man" for a couple of highly-regarded independent bands in the '80s and '90s. The Danny Pound Band has evolved as a very, very skilled group. Their most recent record is called Surer Days (Remedy Records, 2005). The songwriting is wistful without being maudlin. The music is rock-and-roll without being harsh. Sound-wise, this reminds me of The Byrds without the jangle, the Jayhawks without the twang. If you are a fan of Gram Parsons, which is what immediately jumped to mind the first time I heard this record, you will like this very much. Fans of singer-songwriters like Richard Buckner, Bill Callahan, and Nick Drake will find this an indispensable album. I've bought maybe three copies of this record to give away already, because I want people to hear it.